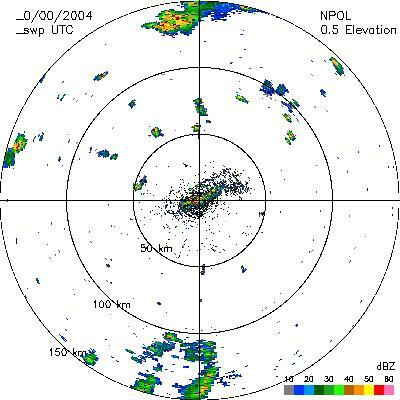 The CAMEX-4 NASA Portable S-Band Multiparameter WX Research Radar dataset was collected by the NASA Portable S-band Multiparameter Weather Research Radar (NPOL), which is a Doppler S-band radar that when used continuously during an operation provides a full volume scan every ten minutes. Scans may be either 300km long range scans or 150km range for most high resolution data scans. Products available include real time PPI scans of reflectivities and velocities, and near real time displays of other radar products, including RHI's, CAPPI's, and Polarimetric products. Browse imagery is available for PPI reflectivities. Archived by National Aeronautics and Space Administration, U.S. Government, NASA/MSFC/GHRC. https://doi.org/10.5067/CAMEX-4/SBAND/DATA101. Gerlach, John and Paul A Kucera.2002. CAMEX-4 NASA PORTABLE S-BAND MULTIPARAMETER WX RESEARCH RADAR indicate subset used. Dataset available online from the NASA Global Hydrology Resource Center DAAC, Huntsville, Alabama, U.S.A. DOI: http://dx.doi.org/10.5067/CAMEX-4/SBAND/DATA101.